Founded in 2005, Coldstream Creative takes an inventive and holistic approach in using media to address the global challenges that face our planet. Utilizing our knowledge on environmental, social, and economic topics, as well as our experience in research, policy analysis, and writing, we bring a distinct and uncommon level of depth to our projects. Our work has been featured in numerous marketing campaigns, public service and educational spots, and on a variety of web-based media platforms around the world. Our documentary and promotional films have been screened in dozens of film festivals and sponsored screening events on four continents as well as on the syndicated PBS series Natural Heroes. A founding partner and owner of Coldstream Creative, Hunter grew up among the mountains of Colorado but has spent his life enjoying the activities and opportunities offered by mountains, deserts, and the sea, having worked as a guide and instructor of numerous outdoor sports as well as consulted on marine, terrestrial, recreational, and energy policy. He has a BA in History with a minor in Geography from the University of Colorado, Boulder, and an MA in International Environmental Policy from the Middlebury Institute of International Studies in California. In addition to writing, directing and editing on Coldstream Creative film projects, he also has experience consulting with private industry and non-profit organizations on a variety of environmental issues including sustainable development and tourism, ski area development issues, environmental research and assessment, energy conservation analysis and design, and sustainability marketing. He lives in Durango Colorado. An East Coast native, Darren has lived around the American West for the past twenty-plus years. Darren’s life-long passion for skiing and other outdoor pursuits helped nurture his keen interest in environmental conservation and sustainability. After 15 years in the ski industry, Darren switched gears to focus on environmental issues and sustainability. Darren’s love of film began while helping produce and appear in ski-related travel documentaries in the 1990’s. 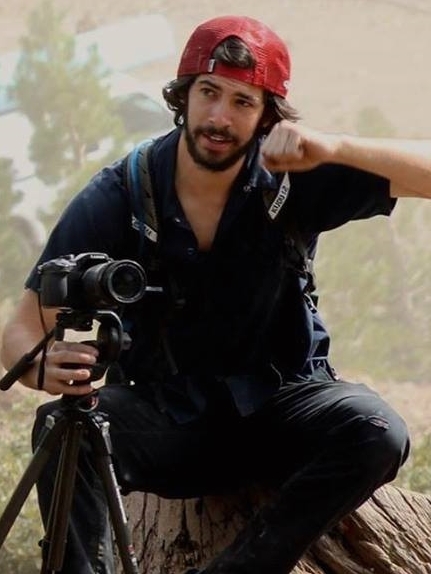 While also honing his film production skills, Darren worked for three years as an Associate Planner for a land-use and sustainability consulting firm in the Lake Tahoe region before moving into the non-profit realm as a Campaign Director for a collaborative campaign to protect the Siskiyou Wild Rivers region in Southern Oregon. He has a BA in Environmental Conservation with a minor in Economics from the University of Colorado, Boulder and an MA in International Environmental Policy from the Middlebury Institute of International Studies in California. Darren splits his time between Ashland, OR and Lake Tahoe California, and recently launched his own environmentally focused film company, Ecologic Films. Mitch is a California native who has had a love for being behind the camera since grade school. Focusing on action sports photography, he is inspired by finding and creating unique perspectives in the outdoors. His passion for mountain biking and the outdoors has led him to producing the California Enduro Series and filming for the Downieville Classic and its world famous River Jump -of which he is a multiple champion. He’s motivated by the candid shot, the quick trigger finger, and the once in a lifetime shot. He’s often found peaking through a bush or clambering up a tree, camera rolling and ready for action. Mitch lives in Portland Oregon. View some of his work here. Zack grew up in the hills outside Nevada City, CA and was shaped by a love for the Sierra Nevada. His photography focuses on the different ways people interact with the natural environment, and he's often found schlepping camera gear along on mountain bike rides and ski tours. As a Video Specialist at the California Dept. of Water Resources by day, his free time is split between riding bikes and shooting other people riding bikes, often for local bike companies and races. View some of his work here. Nat Kidder is a freelance video editor and motion graphic artist. He grew up in Western Massachusetts and received a BA in English from The University of Oregon and a BA in Digital Arts from Expression College. A life-long skier who's fond of riding bikes in the dirt and strangely obsessed with remote-control cars, he's the father of two and lives in Woodacre, CA. You can view his work at natkidder.com. Created in 2012, On The Real Media is a media and web application firm headquartered in the Bay Area of California. The 3 principles -Kai Brabo, Brian Raphael, and Ryan Layne- offer exceptional still photography, film production services, and internet/website development. Coldstream Creative and On The Real Media have collaborated on work for the Sierra Buttes Trails Stewardship and our current pre-production project on wildlife and hunting in Africa.